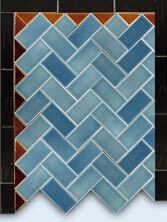 The images on these tiles are inspired by medieval tile designs found on floors and walks of Abbeys and Cathedrals of England and France. These tiles are inspired by designs found on baskets, blankets, and ceremonial objects from the Indigenous Peoples of the American Plains. 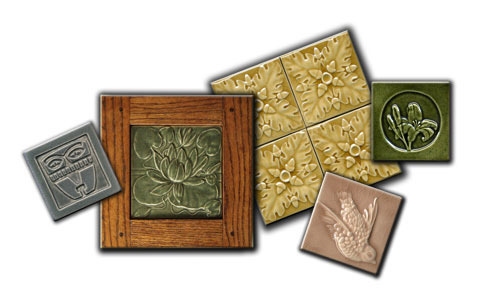 Here are some lovely handmade tiles which depict a squirrel holding an acorn, surrounded by oak leaves and more acorns.